Rachel Demuth is a leading expert in plant-based cuisine, both a chef and cookery teacher. She is a founder member of Neal’s Yard Bakery in Covent Garden, and in 1984 opened Broad Street Bakery in Bath pioneering organic baking and vegetarian and vegan cooking. 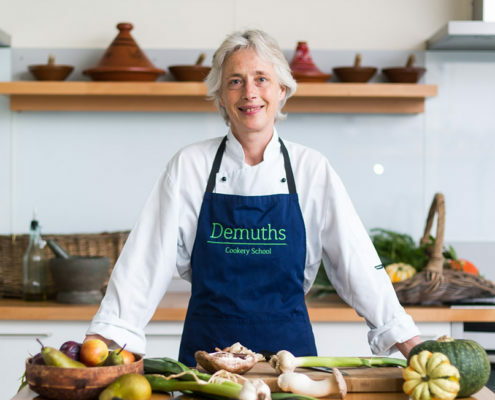 For twenty-six years Rachel ran Demuth’s Restaurant, and in 2000 opened Demuth’s Cookery School to teach people how to cook delicious and accessible plant-based food. Her passion for world cuisine has taken Rachel around the world, particularly to India and the Far East, leading her to discover exciting ingredients and techniques to bring back to the cookery school.